There are many “Christians” who have never met Christ. They grow up in the church. Their parents are good members of the church, and may be leaders in their congregation. Dad may be a pastor, or the parents may even be missionaries. And the son or daughter may think of themselves as Christian, but their lives tell a different story. The stories of these young people come from campus ministries—especially from evangelical groups such as Campus Outreach and InterVarsity. If baptism isn’t just a symbol of initiation but is an initiation, then Zach was already a Christian. God’s seal had been impressed indelibly on his soul. The inky divine thumbprint declared, “Mine.” He was adopted into God’s family, inducted into the knighthood of worship. Not that anyone would have known. If he was a knight, he was an errant one, a wanderer in search of adventures, mostly the kind that can be had in women’s beds. Though he “thought of himself as a Christian,” he lived like any hedonist, taking his beliefs about living, dying, God, good, and evil from the nonbelieving world in which he lived. One day when he visited a new church, the desert of his heart was strangely moistened. Looking back on the experience, he said that he had never “heard” the Gospel of grace until that day. Familiar story? Yet there is something wrong with it. Every Sunday in his own church, Zach had sat through lections from the Old Testament, the Psalms, the Epistles, and the four evangelists. His eardrums were intact. His auditory nerves functioned. He even claims that he paid attention. So he “heard” in the mechanical sense; the problem was that he did not “hear” in the spiritual sense. He had not grown the right kind of ears, and that story, too, is familiar. The first variety of obstacle lies in the listeners. 1. I can’t hear because I have my fingers in my ears. Certain sins have become morbidly commonplace among us. If we seem deaf to conscience, the problem is not that it has lost its voice but that we refuse to hear it. We shut up our ears so tightly against the bad news of sin that we cannot even hear the good news that sins can be forgiven. Some years ago, a literate and intelligent man whose life was a mess told me that he was unable to grasp the meaning of any passage of Scripture whatsoever. My explanation of the principles of exegesis couldn’t have missed the point more. The problem wasn’t that he couldn’t interpret the text; he couldn’t take in God’s word because he wouldn’t allow himself to. 2. I can’t hear because of all the racket. For most of human history, silence was a familiar companion. Now noise is. Even on those rare occasions when we pull out our earbuds, disconnect from social media, and walk into the sanctuary, all those chattering, jingling, crooning, thumping incantations ring on in our minds. The liturgy of the world drowns out the liturgy of the Word. What is the solution? To have better noise? No, there is enough noise already on some of the Christian radio stations. God commands recourse to the abyss of silence so that we might hear him in it: “Be still, and know that I am God.” Much has been written about the need for better Church music, and rightly so. Yet greater is the need for better silence. The best times to press this need are the penitential seasons, especially Lent. Our shepherds should urge us to emulate our ancestors, who knew the importance of fasting not only from food and drink but also from noise and babble. 3. I’m not listening because I have heard it all before. A young woman approached me after an adult catechesis class to say, “I wish I were a convert like you. It is so much harder for those of us who were raised in the Church to see how wonderful it is.” She meant it well, God bless her, but I found it unsettling. Immersed in grace, it should be easier for those raised in the Church to see how wonderful it is. How can we be jaded by God himself? The answer is that we can’t—but we can certainly be wearied by not having more of him. We speak blithely about fulfillment in Christ as though complete fulfillment should occur in this world, and as though if it doesn’t, there is something wrong with us. St. Paul knew better: “We ourselves, who have the firstfruits of the Spirit, groan inwardly as we wait eagerly for adoption as sons, the redemption of our bodies.” The torrent of grace he experienced only whetted the longing for more. Here’s a brief outline of the rest of Dr. Budziszewski’s “Evangelizing Christians,” which can be found online at the link below. The next obstacle lies in the proclaimers. What part of this message have we been blocking out? What sin or resentment or cherished conceit do we clutch so tightly that we cannot open our hands to God’s grace? In order to hear the whole Gospel, what must we let go? “Evangelizing Christians” by J. Budziszewski is available online. “Evangelizing Neo-Pagans” is a companion article introduced on this blog here. 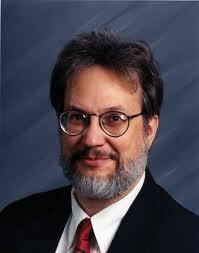 J. Budziszewski is professor of government and philosophy at the University of Texas. He is the author of numerous books including How to Stay Christian in College and What You Can’t Not Know: A Guide.